Kuoni specializes in luxury and tailor-made vacations and holidays. In 2012, for the thirteenth time in 15 years, the Kuoni Group was named the World’s Leading Tour Operator at the annual World Travel Awards. 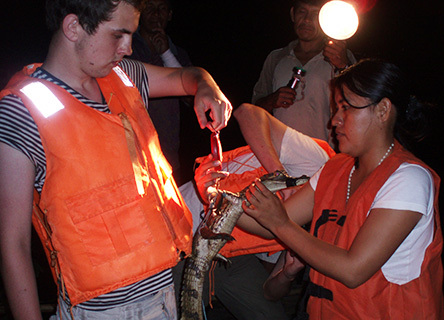 Volunteers searching for caimans at night with a spotlight. 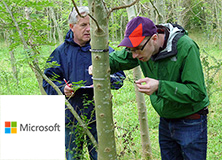 Kuoni has worked in partnership with Earthwatch since 2010, supporting Earthwatch’s conservation activities by promoting and selling Earthwatch expeditions to Kuoni customers. 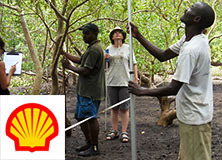 Both Earthwatch and Kuoni are delighted that the feedback from customers so far has been fantastic, so much so that Kuoni is now giving Earthwatch double-page spreads in its Discover and Africa brochures. 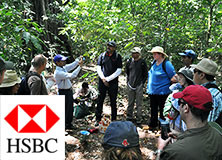 Kuoni has recently signed a second three-year commitment with Earthwatch. 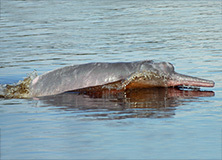 Helping to conserve pink river dolphins. 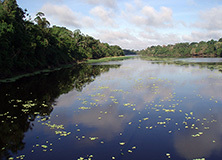 Samiria River, a major Amazon tributary.